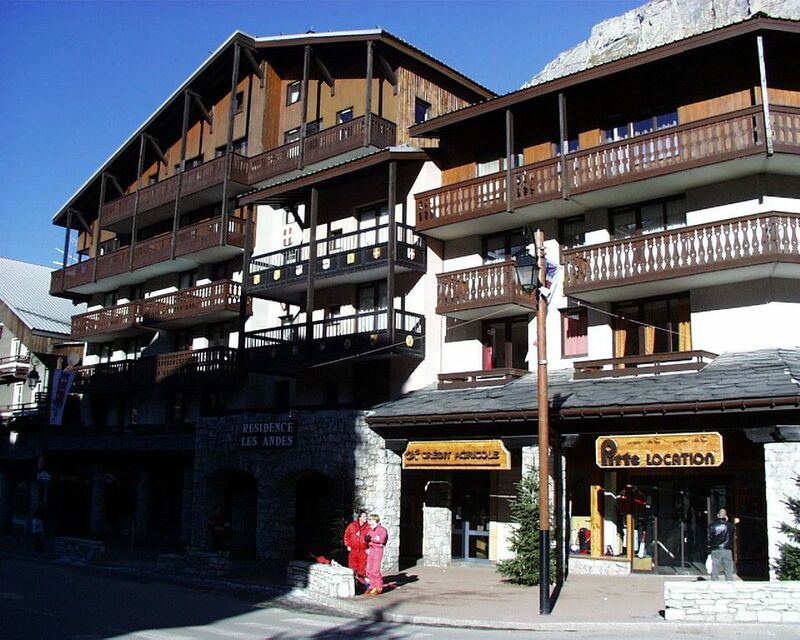 In the center of Val d'Isère in a beautiful and very comfortable residence. We join the snow front on foot. Free shuttles pass at the foot of the building. All shops nearby. Very quiet apartment, completely renovated. Covered parking space in the residence, (10 euros per day). Internet connection with private WiFI. Washing machine. Separate toilets. 2nd floor with elevator. Bathroom with large bath, a washbasin, an electric towel rail ACOVA and a bathroom cabinet with 3 mirror doors. A hairdryer is available. The toilets are separated. Wonderful location. Florence was very helpful. The flat was clean and well equipped but tiny. We were 4. 5 people would have been too many. It would have been good to mention the 3 bunk bedroom has no window. I am sorry that you found the apartment tiny. Of course it is small as most of the apartments in famous ski resorts in France. The size (31 m2) and a mark-to scale plan are part of the announcement before you decide to rent. And the reality is conform. My own family uses it for four persons on a regular basis. By definition a cabin is a room without window. That also clearly appears on the plan of the apartment. You will probably find better in Val but the price will not be the same. So far I never had a criticism on these points. Really nice apartment. Very well located in the village. All equipment was provided for a self catering stay. The apartment was clean and well presented with plenty of storage space. We were 2 people together and it worked perfectly. I think this would be a struggle for 5. The arrival and check in process worked well and all the instructions were accurate. All in all we had a great stay and would happily return. I am glad that you could enjoy your stay in Val d'Isere. I am so glad to have Florence as local contact in Val. She is so kind and efficient. I am happy too that you had a nice stay and hope you will come back in the future. Pour des séjours inférieurs à une semaine complète, le prix est de 90 % pour 6 jours, 80 % pour 5 jours et 70 % pour 4 jours. Pour des week-ends de 4 jours incluant vendredi et lundi, le tarif est de 100% du prix moyen des deux semaines concernées. Cela ne concerne pas les séjours commençant ou se finissant un samedi ou un dimanche. Les frais bancaires éventuels liés au paiement de la location sont à la charge du locataire. En cas d'annulation tardive l'acompte ne sera restitué que si l'appartement peut être reloué au même prix. Séjours du dimanche au dimanche (pour éviter les encombrements dans les trains ou sur la route le samedi). Les locations sont disponibles à partir de 16 heures et doivent être libérées avant 10 h.